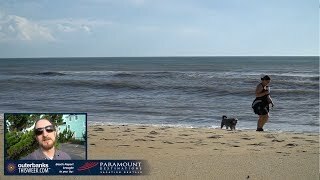 This site, OuterBanksThisWeek.com, is the closest you can get to being on the Outer Banks, NC, without actually being here. Here, in the words of locals who know this place inside and out, you’ll find the detailed information you need to really know the Outer Banks. Want information on Outer Banks Nightlife while you’re here? We’ve got it – who’s playing where, what play is being performed, what well-known touring group is here, Outer Banks music and musicians you really should hear. Want to know about local events and happenings, such as annual events, specialty events or seasonal events? Dive in here; we’ve got it all. Other Outer Banks, NC, things to do are here too, such as scheduled programs at major attractions or recreational activities that happen every week. Plenty of other things to do are also here on the Outer Banks. While you’re visiting the Outer Banks, NC, we know you’ll plan on enjoying some restaurants too. You’ll find information such as daily specials, complete contact info, where you need a reservation or where you can bring large parties more easily. And, you’ll appreciate the hundreds of coupons you can download from this site that will make it cheaper to dine, shop and enjoy the great outdoors at hotspots on the Outer Banks. Speaking of the great outdoors, Outer Banks, NC, fishing enthusiasts will look to this site every day for information on what’s being caught, where to go to catch it, what trophies the offshore boats are bringing in and more. And, finally, the only sport more popular than fishing is probably Outer Banks shopping…yes, it’s a sport in many people’s eyes! Through Outer Banks This Week, you’ll learn where the great sales are located, connect with individual shops to get a sneak preview of what they offer before you go and see highlights of the latest and greatest new inventory. 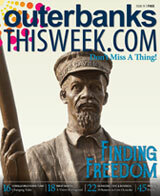 If you want to be a member of the Outer Banks, you need to use OuterBanksThisWeek.com. Don’t miss a thing that’s happening while you’re here! To cruise all Outer Banks nightlife options, click here. Want to see every Outer Banks daytime possibility? Click here. For a look at every Outer Banks restaurant great plate, Click here. To shop all Outer Banks must haves, click here.